The peer-to-peer (P2P) lending sector is subject to a huge amount of criticism after the painfully slow roll-out of the Innovative Finance ISA (IFISA) was compounded by problems at some of the industry’s biggest players. With many lenders due to launch an IFISA in the coming months, we’ve analysed whether the criticisms are justified and what would-be investors should watch out for. Why has P2P lending fallen out of favour? The P2P lending sector has grown dramatically since the financial crisis, largely because many people are fed up with the poor returns offered by cash savings. Some P2P platforms have been advertising returns of around 10%, which many investors feel compensates for the higher risk nature of the investment. Over the past few months many rates have been slashed and this hasn’t gone down well with investors. Zopa is currently advertising annualised projected returns of 3.7% for Zopa Core and 4.5% for its higher-risk product Zopa Plus. These compare with rates of between 5% and 6% in the company’s early years. In addition to lower rates, stories are emerging that highlight the risky nature of P2P lending. Some investors have lost money because they were unaware of the importance of spreading their risk. RateSetter, one of the biggest platforms, had to write off £8.5m after a company to whom it made a wholesale loan three years ago went bust. RateSetter subsequently withdrew from the Peer-to-Peer Trade Association because it has breached its transparency rules. Alongside this, the eagerly anticipated IFISA, which got the go-ahead in April 2016, has so far proved to be a bit of a flop. Very few platforms have launched an IFISA and the £17m invested in IFISAs in 2016/17 pales in comparison to the £39.2bn invested in Cash ISAs, which offer dismal returns. There are also growing concerns about how the P2P sector will fare if there is an economic downturn that results in borrowers defaulting on their loans. Lower returns are disappointing for investors, but the reasons behind them seem valid. Stuart Law, chief executive of Assetz Capital, says there were concerns among his platform’s investors about the uncertainty of Brexit. In response, it is focusing on lending to higher-quality businesses, which are able to negotiate lower rates of borrowing. Lower-risk borrowers pay lower interest rates, which means a fall in returns for people lending money through the site (i.e. investors). 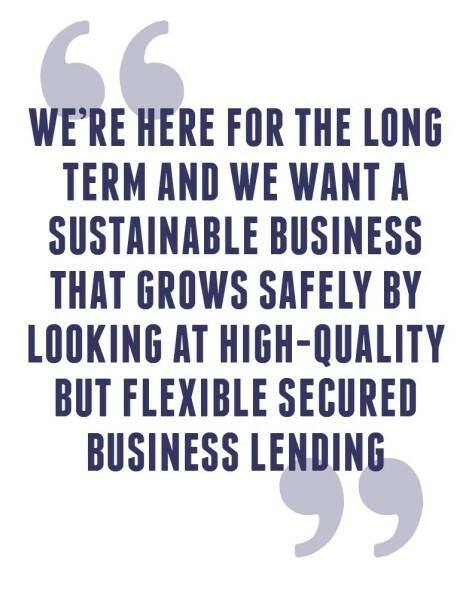 ‘We’re here for the long term and we want a sustainable business that grows safely by looking at high-quality but flexible secured business lending,’ says Law. 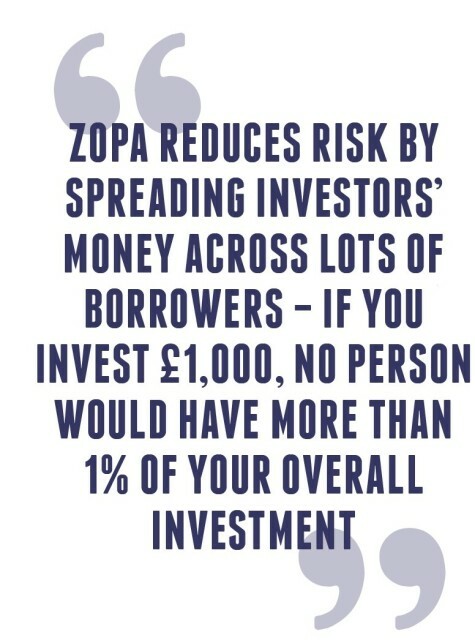 Zopa also linked its cut in returns to the increasing proportion of lower-risk loans it was expecting to approve. Its accounts for 2016 contained warnings about the rise of consumer unsecured debt, which it said was particularly concerning in light of high inflation. Some of the criticisms about risks are well-founded. Neil Faulkner, founder of peer-to-peer risk ratings agency 4thWay, suggests P2P platforms need to take greater responsibility in ensuring investors understand the importance of spreading their money across lots of different loans. ‘There are also individual platforms that have caused concern about the risks. However, the inherent risk-reward balance in the UK remains attractive, with interest rates that offer the average investor a large cushion even in the event of a one-in-100-year recession,’ Faulkner adds. Is the IFISA a flop? The overall take-up of the IFISA has been extremely low, but Faulkner says this has been largely due to the Financial Conduct Authority’s long approval process. At the start of April 2017 (the date the investment figures go up to) it was primarily just the very small platforms who had received authorisation to launch an IFISA. The next few weeks will see IFISAs being launched by Funding Circle and Assetz Capital. Zopa aims to re-open to new investors by the end of the year and it will also start allowing customers to transfer in existing ISAs from other providers. Bruce Davis, co-founder of Abundance, which lets people lend money to projects providing a social or environmental benefit, claims the amount invested through the Abundance platform doubled overnight after it launched its IFISA. How robust is risk management? Risk management is an important topic at the moment given the huge rise in unsecured consumer debt in the UK. Critics of the P2P lending sector warn that this, coupled with high inflation and poor wage growth, could result in lots of borrowers being unable to pay back loans. Paul Riddell, spokesperson for Lendy, which provides loans secured on UK property, thinks the slight deceleration in overall P2P lending is a good thing because it gives platforms more time to originate interesting investment opportunities and further improve their risk management processes. Most platforms have robust processes in place to protect investors. They stringently assess borrowers’ creditworthiness and have a reserve fund that will pay out if borrowers default. 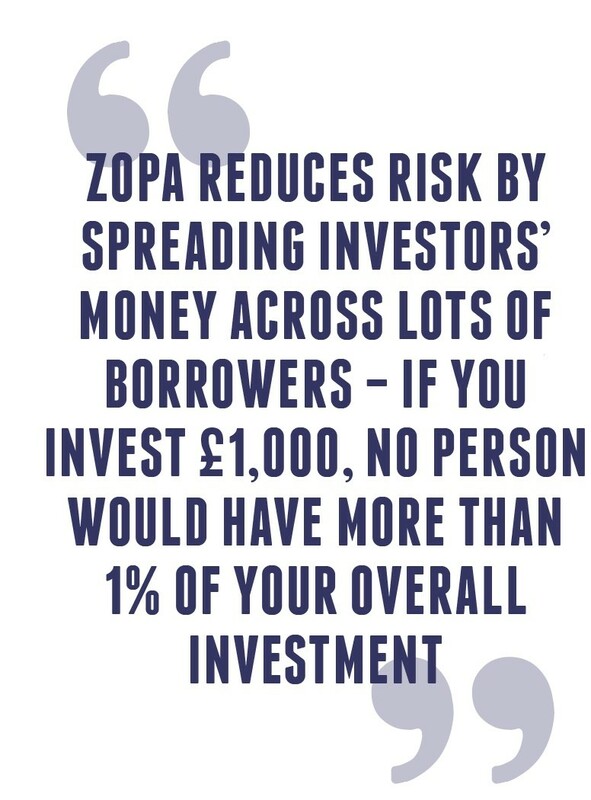 Zopa says it reduces risk by spreading investors’ money across lots of borrowers – if you invest £1,000, no person would have more than 1% of your overall investment. Landbay, which offers loans backed by British property, had an independent ‘stress test’ carried out on its business in 2015, which calculated that in a ‘bad weather scenario’ – where GDP drops 3.5%, unemployment rises to 9% and house prices fall 20% – the average expected loss rate would be 0.48%. Landbay’s reserve fund is maintained at 0.60% of its loan book, which means it would absorb such losses. How risky is P2P lending? The very nature of lending money to individuals or businesses is risky because there is always a chance that the borrower will default on their loan. P2P lending isn’t covered by the Financial Services Compensation Scheme, so your capital and interest are at risk. Although some platforms have reserve funds and others secure loans against property, problems would arise if a large number of borrowers couldn’t repay their loans. On the flipside, they offer very competitive rates to investors to compensate for the risk they’re taking on. Lendy’s Paul Riddell says: ‘If you look at the returns that some P2P platforms offer they are many times more generous in their net and gross yields than traditional products. Given those yields, some of the criticism has been a bit misdirected. ‘Many of the loans on our platform offer lenders a 12% yield and an easy process to diversify that risk away – where else can you get that in the market? Neil Faulkner of 4thWay says there are a lot of attractive investment opportunities for people who take time to learn the basics. He warns that ill-informed investors are likely to panic and make mistakes. ‘There are a lot of platforms that offer excellent risk-reward balances. You need to lend across lots of platforms and hundreds of loans, and you need to be patient, allowing time for any early bad debts to be recovered while you earn interest until the last loan is repaid,’ he says. Before you start investing it’s a good idea to look at the platform’s website to find out details of their defaulted and written off loans and late payments. There will also be information about how they assess the creditworthiness of borrowers. P2P platforms vary considerably. Some invest your money across hundreds of loans, where others let you choose specific investments. Some offer secured lending (for example backed by property) whereas others provide unsecured loans. There are platforms that focus on business loans, platforms that concentrate on consumer loans, and platforms that offer a mix of the two. RateSetter invests your money across thousands of consumer and business borrowers via unsecured loans. Its Everyday Account advertises rates of between 3.8% and 5.4%, depending on how long the loan terms are. Landbay and Lendy both provide property-backed loans, but Landbay spreads your investment across lots of buy-to-let mortgages whereas Lendy lets you choose which development projects you want to back. Landbay offers a fixed rate of 3.45% and a tracker rate of 2.7% above LIBOR. Assetz Capital’s Stuart Law suggests investors diversify their portfolio across a handful of the well-established peer-to-peer lending platforms, as well as across many of the loans on each of the platforms. How does P2P compare with corporate bonds? P2P lending and corporate bonds are similar in that they both involve investors lending money in return for a relatively reliable income stream. The yield on corporate bonds is typically lower than P2P investments, but corporate bonds are seen as the less risky option. Neil Faulkner of 4thWay says it’s trickier for individuals to choose individual corporate bonds so they generally opt for corporate bond funds. He says the profile of corporate bond funds is very different to P2P lending because the price of the fund fluctuates heavily. Most loans in P2P lending are bought at or around par. In addition, bonds tend to have longer durations, whereas money lending is usually for up to five years. Many loans are repayment loans, so you can naturally withdraw roughly half of your money in 18 months at no cost and by simply turning off your auto re-lending options. Faulkner adds: ‘Despite bonds’ longer durations, the best research on long-term global returns (from Credit Suisse Global Investment Yearbooks/Sourcebooks) shows that investors can go 30 to 40 years with no real gains, especially after costs. ‘Money lending provides stable profits. Liberum Research has shown that credit cards in the US, as well as personal loans in both the US and UK, provided positive returns every single year over 16 years, with at least two downturns including the Great Recession. Why has Just Eat earned a place in the FTSE 100? Will TUI suffer the same setback as Thomas Cook?